April 29, 2015 by kim 0 comments on "Bulletproof Diet Book Dave Asprey – Review"
I recently bought the Bulletproof Diet book by Dave Asprey. I kept hearing about bulletproof coffee (coffee with butter and either MCT oil or coconut oil added) all over the web. In the end, I thought coffee with butter in it couldn’t be all bad. Finally, I was intrigued enough to buy the book in kindle form. Although I’m calling this a review it is rather more a collection of notes that I have written as I read the book. These notes will act as reminders of the core messages of the book. Describes how Dave (Asprey) has biohacked his way to mental clarity and physical fitness, losing over 100 pounds. Dave weighed 300 pounds despite working out 90 minutes 6 times per week and living on 1,800 calories per day. Sick all the time with sore throats and sinus infections. Bad brain fog, a scan revealed little activity in the pre-frontal cortex. These experiences led Dave to try to bio hack his way back to full health. As a result, Dave lost 100 pounds and maintained. His friends and family also lost weight and saw health improvements. Dave wanted to understand why do we wake up feeling different from day to day. Dave came to the conclusion that these were all caused by inflammation. The inflammation caused by a standard American diet that irritates the gut which in turn triggers the immune system. Dave found out that working out for 90 minutes 6 days per week did not reduce his weight. Strength improved, however, he realized that he was over training (a very common problem). Most of your bodies appearance is down to what you eat. Dave recommends weight lighting 15 minutes no more than 3 times a week. Don’t do extended cardio workouts instead follow a HIIT High-Intensityy Interval Training) protocol instead. Recovery after exercise is very important, you may need more sleep to recover. The American standard diet is low in nutrients and micro-nutrient deficiency is common. Deficiencies can cause problems with fatigue and poor sleep. General multivitamin supplements are not recommended as you can overdose on some vitamins or minerals while being under-dosed on others. Best to take supplements individually. Generally, with supplements, you get what you pay for. Cheaper supplements can be made up of cheap fillers and cheaper forms of the vitamin or mineral you require. There is an up to date list of the top 10 supplements Dave Asprey recommends here. EPA and DHA unless you are eating plenty of wild caught fish. Vitamin A unless you are eating plenty of grass fed organ meats. Men and women have different hormone levels and different bodies. Women may need to tweak the diet to give better results. 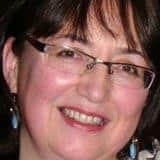 Intermittent fasting could be a problem for some woman. A high fat low carb diet could boost fertility and sustain a pregnancy. Plenty of healthy fats and a low carb diet improve hormone levels, suppresses bad gut bacteria and promote weight loss. eat protein with breakfast but not carbs. re-feed cards at least once a week (men can go longer) this is done once a week during protein fasting days. Eat sweet potatoes, carrots and white rice on these days. drink de-caf coffee if pregnant. get tested for iron levels after 2 weeks on the diet. Take supplements only after testing has shown you are deficient. Men should start the bulletproof diet 3 months before trying ti conceive. L-ornithine and L-Argnine – these amino acids stimulate the release of human growth hormone. Orally available glutathione in a lipid preparation. Activated coconut charcoal – great for detoxing as it binds to toxins and takes them out of your system. Testosterone – needs to be made by the body. High blood sugar levels reduces testosterone levels. (Cornflakes and graham crackers originally designed to reduce libido). The bulletproof diet that is high fat and low carbohydrate naturally increases testosterone. – children do well on a high fat low sugar gluten free diet. Kids need more carbohydrates than adults. Dave Aspreys children were brought up on the bulletproof diet, they have turned out well behaved and able to concentrate well. Every food you eat falls somewhere from beneficial to harmful. Some foods cause more inflammation than others. With experience, you can plan the best possible meals. on the roadmap, foods will fall into catrgories depending on there benefits and harms. these categories are: bulletproof (good), suspect and kryptonite (bad). low toxins, least inflammatory, highest nutritional value. will affect us all differently. Some people may be able to tolerate foods in this category. these are foods that could make you gain weight, age quickly, lose brain focus and damage performance. 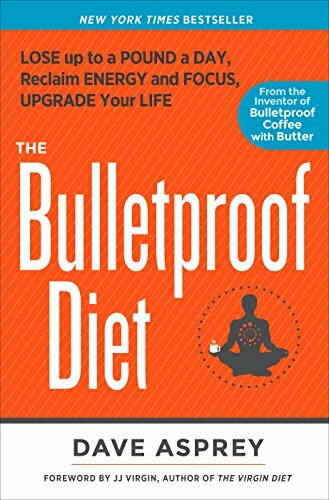 It is recommended that you try the bulletproof diet for 2 weeks to see how it improves your health and well being. Then introduce the suspect and kryptonite foods to see how these will make you feel. Bulletproof – broccoli, avocado, olives, cabbage, brussels sprouts and cauliflower. Cruciferous veg should be eaten cooked. Suspect – artichokes, green beans, aubergine, peppers, tomatoes, garlic, onions, beetroot and peas. Kryptonite – mushrooms and all tinned vegetables. Bulletproof – egg yolks, coconut oil grass fed lard, ghee and butter, soy lecithin, cacao butter avocado oil. Suspect – extra virgin olive oil, palm oil, nut oils, grain fed butter and ghee, duck and goose fat. Kryptonite – sunflower oil, grain fed lard, flax, soy, corn oils and margarine. Bulletproof – ghee and pastured butter, grass fed cream raw organic milk. Kryptonite – low fat products, cheese, ice cream. Visit bulletproofexec.com/roadmap for free copy of the road map. Discussed foods that you should only eat in small quantities, if your goal is to lose weight. However, these foods can be eaten in greater quantities if you are on a weight maintenance diet. Suspect – nuts, be aware that the oils in nuts can go rancid quickly. good – butternut squash, yam, carrot, pumpkin, white rice. suspect – tapioca, fresh corn kernels, oats, brown black and wild rice, quinoa, potato starch (resistant starch). kryptonite – corn, wheat, millet, cornstarch. good – avocado, blackberries, raspberries, lemon, lime, strawberries. suspect – pomegranate, honeydew and water melon, apples, apricots, kiwi, oranges, pears, bananas, grapes. kryptonite – raisons, dried fruits, fruit leathers, canned fruit, jam and jellies. Good -chocolate powder, apple cider vinegar, coriander, fresh ginger, coffee, sea salt, oregano, tumeric, rosemary, and many more…..
kryptonite – fermented soy, tamari, miso, commercial salad dressings, longer list found in the book. Suspect – maple syrup, coconut sugar, white sugar, brown sugar, agave syrup. Good – coffee (no mould toxins), green tea, mineral water, diluted coconut milk. Suspect – coconut water, herbal teas, bottled nut milks, vodka and other low sugar alcohol in small quantities. Freshly squeezed fruit juice. Kryponite – soy milk, white and red wine, fizzy drinks and other sweetened drinks, sports drinks. Some methods of cooking can increase inflammation. For example, grilling meats can produce PAH’s which are carcinogenic compounds. kryptonite – BBQ – ing, burnt charred, deep fried, microwaved. Get rid of kryptonite foods from your home. Track possible food sensitivities, you need to find those foods that you can tolerate. Everyone will be different. Often your hart rate will increase by up to 15% after eating a food you may be sensitive to. Breakfast – Bulletproof coffee. Women and the very overweight should add 25 – 30 grams of protein. Next two meals should be eaten within a 6 hour window. Once a week try a bulletproof protein fasting day. In the book there are a number of suggestions and recipes for meals. Lunch – 15 – 18 hours after nights dinner. Dinners – choose a protein and vegetable side dishes add a desert if needed. Protein fast day – bulletproof coffee for breakfast, then lunch and dinner from a selection of low protein dishes. Problems with the Bullet Proof Diet. changing from a low fat diet to a high fat diet will result in diarrhea or “disaster pants” so it is important to add in fats slowly. continuing on the Bulletproof Diet for life, it is suggested that the diet is followed for 2 weeks and then have a cheat day (pizza, wine etc) you will see how badly these foods make you feel. once you have achieved the desired weight loss, you can experiment by adding suspect foods. eat kryptonite foods occasionally if you really want to. take grass fed butter to restaurants. when travelling try out intermittent fasting. Previous Previous post: Leptin Hormone and Weight Loss: Would a High Fat, Low Carb and Moderate Diet Help?